Drum Corps International, the world leader in producing and sanctioning competitive marching music events for the world's most elite and exclusive marching music ensembles for students, will be joining with strategic partner Music For All (MFA) to provide a live Webcast of the Bands of America San Antonio Super Regional Finals this Saturday, Nov. 3. Featuring 14 Super Regional Finalist marching bands, this Webcast will be a fan's "virtual ticket" to watch the performances online, live as they happen. Broadcast from the San Antonio (Texas) Alamodome -- home of the annual DCI Southeastern Championship -- the event will begin at 7 p.m. Central time. 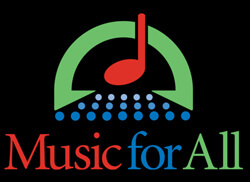 To view, either join the Music for All Network on MusicForAll.org which grants access to the live Webcast in addition to on-demand, post-event access to the Finals event streamed video, or sign up for a one day pay-per-view pass. DCI also will provide coverage of the MFA Grand National Championships, Nov. 15-17, as a live, pay-per-view Webcast. Fans can order the Grand Nationals starting Nov. 12 or sign up for the Music for All Network for access to all live Webcasts and post-event, on-demand videos. Register to watch the Bands of America San Antonio Super Regional on MusicForAll.DCI.org.